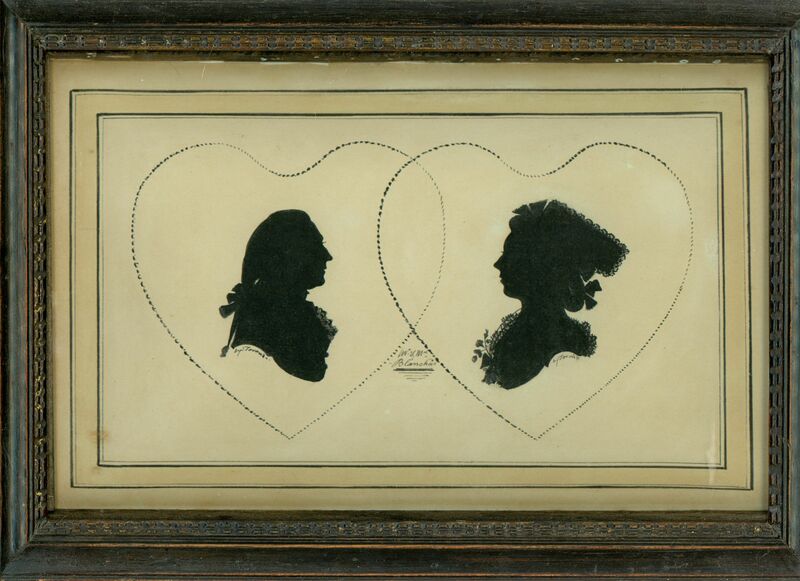 A rare bust-length double silhouette painted in Torond’s early “black” style most probably as a marriage portrait given that the couple are enclosed within overlapping hearts. 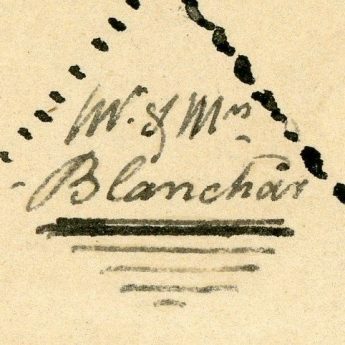 The couple are named as Mr & Mrs Blanchar (or possibly Blanchoir). The gentleman is wearing a bound pigtail wig and a frilled chemise whilst his wife has flowers on her corsage and is wearing an elaborate dormeuse hat with ribbon bows at the front. 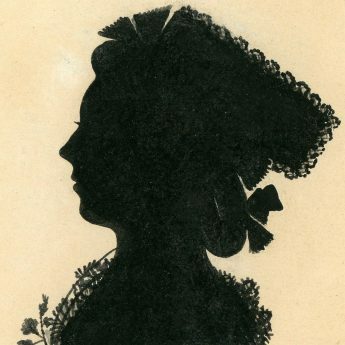 Her hair is arranged in a banging chignon with a thick loop of hair doubled back and tied with ribbon. 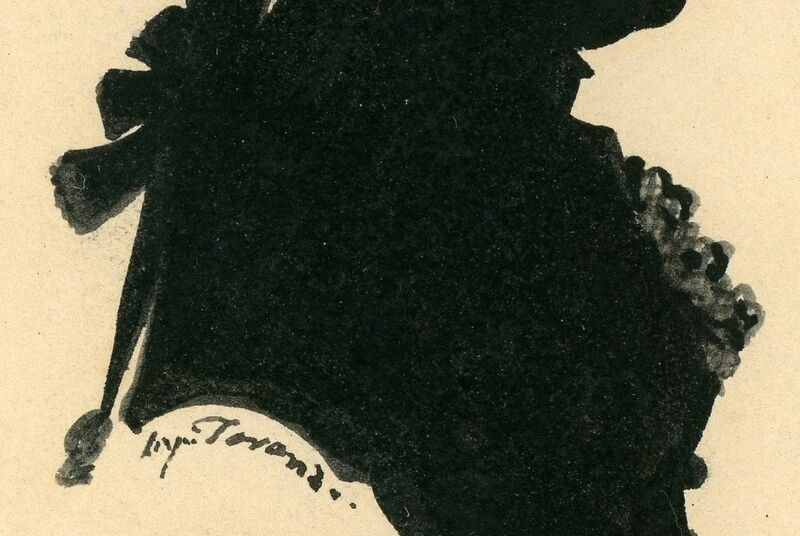 The profiles are painted on paper within a watercolour border and are individually signed “by Torond” under the bust-line. 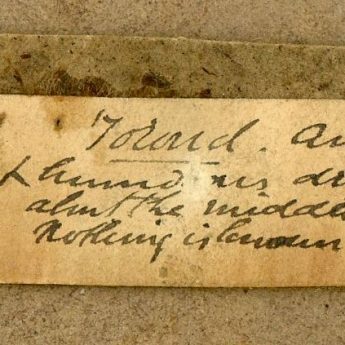 A clipped ink inscription affixed to the conservation backing board adds “Torond. 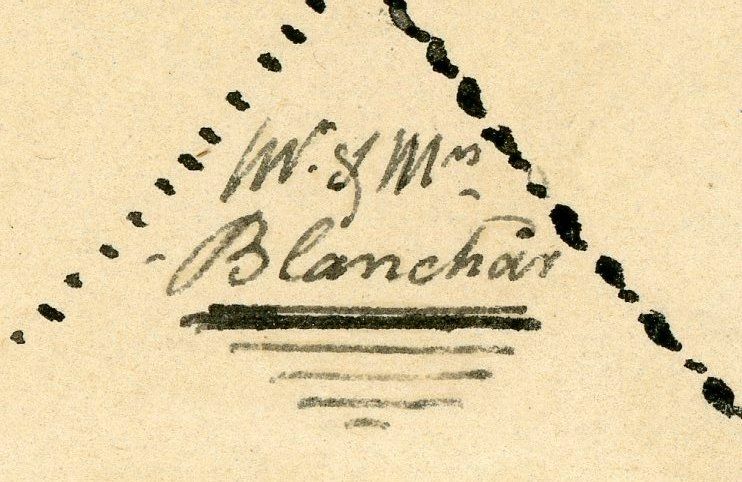 An English Engraver / —-? 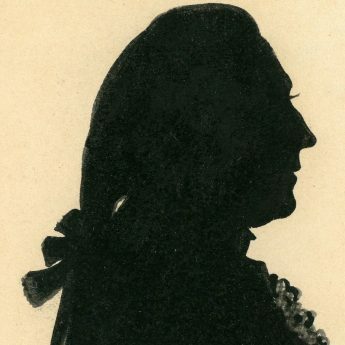 draughtsman practising / about the middle of the 18th Cent. 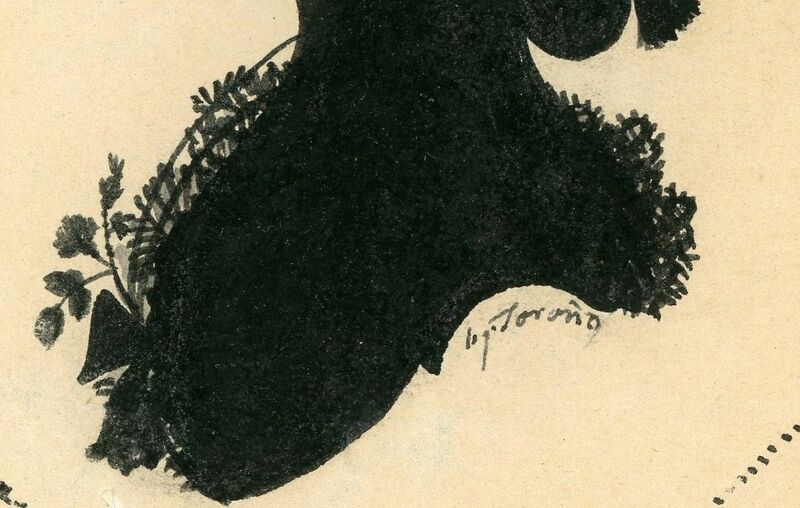 of whom / nothing is known …”. 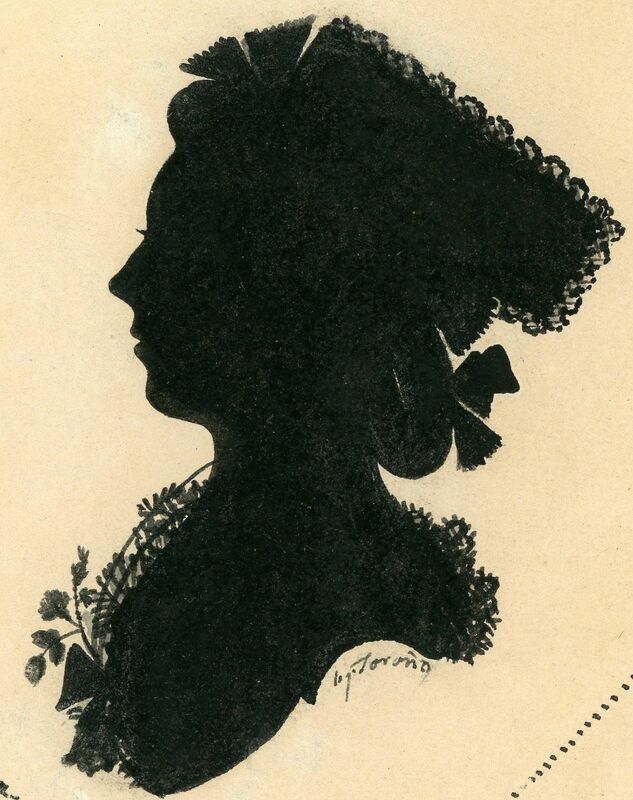 The silhouette is housed in a period oak frame with carved borders. 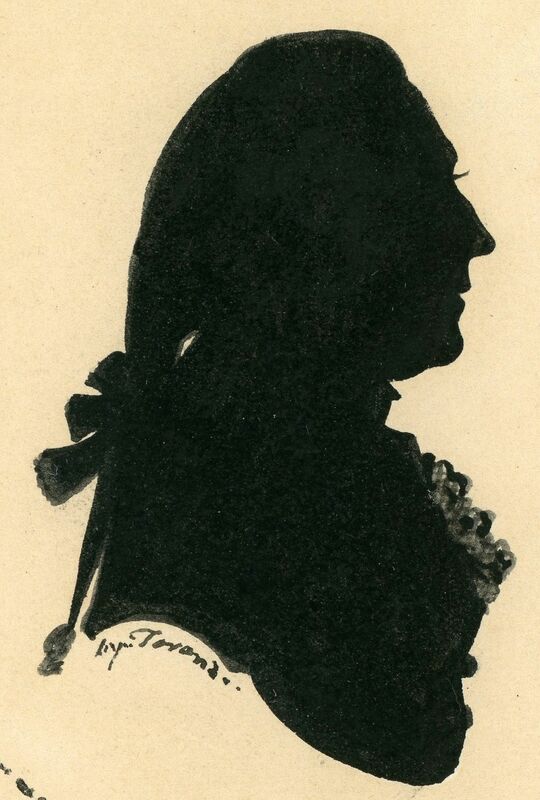 A man of many artistic talents, Francis Torond (ca.1743-1812) only painted silhouettes for about ten years during the late 1770s and into the 1780s. 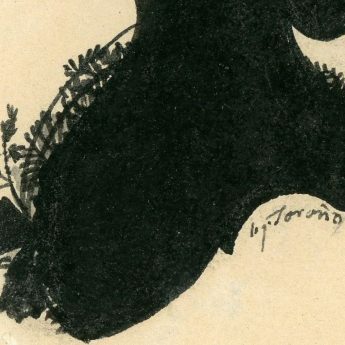 His earliest work was completed in the “black” style; later he worked using light and dark shades (clare-obscure) as can be seen in his conversation pieces. 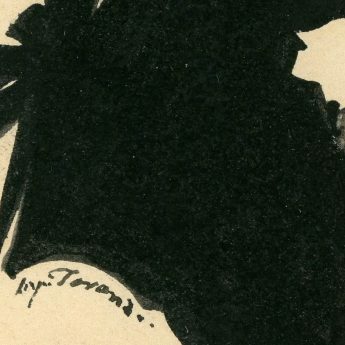 Works by Torond rarely come on the market as tragically many of his conversation pieces were reportedly lost in a warehouse fire in 1919.